Residents of Sun City, Arizona depend on their air conditioners to provide a cool and comfortable environment to live in away from the brutal summer heat. If your air conditioning system is old or is constantly having to be fixed, it is time to consider installing a brand new system. Arctic Fox Air Conditioning and Heating specializes in the installation of new home and business air conditioners in Sun City. Our experience and attention to detail are just a couple of reasons that we have many satisfied customers in Sun City, Arizona. Plus, new air conditioners are much more energy efficient resulting in reduced utility bills. At Arctic Fox Air Conditioning and Heating, we go through a very thorough process to determine the best air conditioner for your Sun City home or business. We first send out a highly qualified air conditioning expert that looks at a wide variety of factors that are critical in the selection of the right system. After they have complied all of the necessary information, we sit down with you and discuss the options available. The high-efficiency air conditioning systems that we suggest will provide reliable cooling with noticeable energy savings. No matter if you require a rooftop, split-system or a heat pump air conditioner, Arctic Fox Air Conditioning and Heating can professionally install a new air conditioning system in your Sun City home or business. 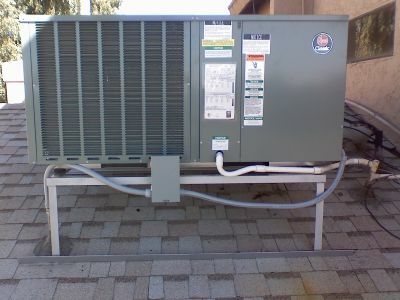 Besides having a certified Master Heat Pump Technician, we are also an APS Certified Contractor and are licensed with the State of Arizona with license ROC #246065. If your Sun City home has an evaporation cooler, Arctic Fox Air Conditioning and Heating specializes in the installation and repair of them. Learn more about our services at Evaporative Cooler Repair and Installation. 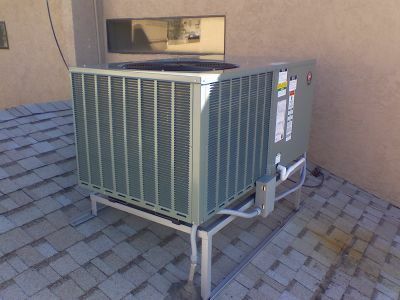 Arctic Fox Air Conditioning and Heating also offers additional services to our customers in Sun City. Click on the links below to learn more about these services. To schedule a new air conditioning unit installation in your Sun City home or business, call Arctic Fox Air Conditioning and Heating at 623-533-5718 today. You can also reach us with any questions that you may have about the installation of new air conditioning units through the contact form provided below.